The night before his Kollaboration Star performance, Tiger JK sat down with news site, KpopStars, for a candid 3 part interview. JK talks about his childhood, what got him into his music, and how his father was a major musical influence for him. Click here for the write up and links to the 3 part interview. 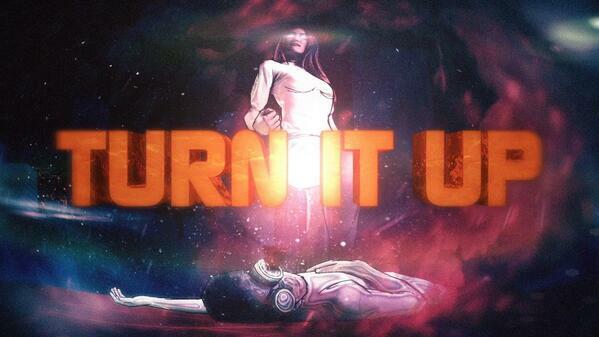 American music network, Fuse TV, focused on Korea’s booming music industry for their daily Fuse News program. They focused on the major players in the first episode, starting with 2NE1, and then equally influential MFBTY. In this short segment, Tiger JK and Tasha talk about what it was like in the early days of Korean hip-hop and who they would like to collaborate with now. Early Tuesday morning, Tiger JK tweeted about the release of a “Best” album. Unfortunately, the album was not actually released by his current label, Feel Ghood Music. Fans are free to obtain the album if they’d like, but should be aware the proceeds for the album do not go to Feel Ghood. After more than 4 months of waiting, StudioAPA released the full MV for Chops collaboration with Tiger JK and Tasha, “Turn It Up.” The MV is completely animated and alludes to the artists’ personalities. 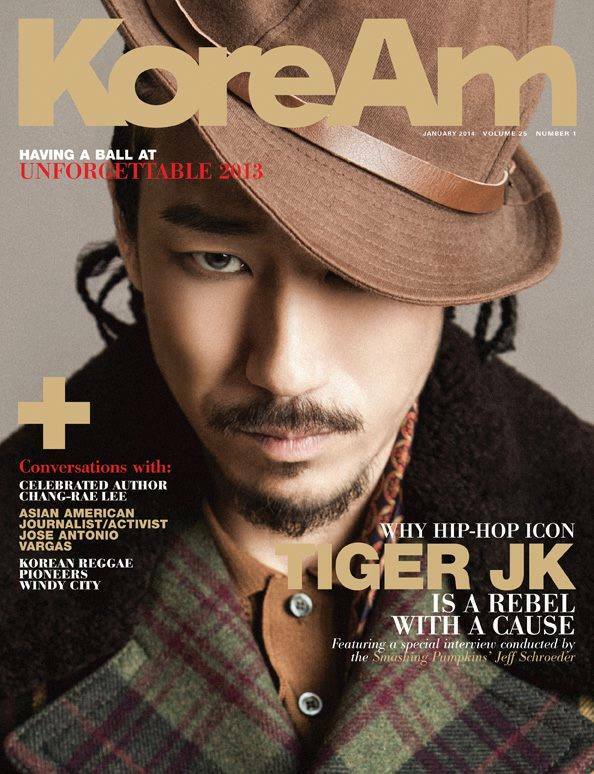 KoreAM’s January issue features a whopping 12-page feature on Tiger JK. This unique article goes into the in-depth history of the Drunken Tiger legacy, then leading into a raw look into who Tiger JK is. In a rare uncensored interview, JK talks about his childhood, how he became a rapper (a choice made to fit in with the fellas! ), the music industry, and how much his father really made an impact on him personally and artistically. The issue can only be ordered from KoreAm directly, or via App download (available later this month). On a personal note, this article is a must read for all die hard Drunken Tiger fans!